Making the transition to Agile project management practices when your organization has historically followed waterfall project management approaches can be quite challenging, but also very rewarding! Expanding project complexity and rapidly growing technology innovation are causing increased uncertainty and implicitly higher project risk from often changing requirements and scope, making the Agile methodology the way to go! 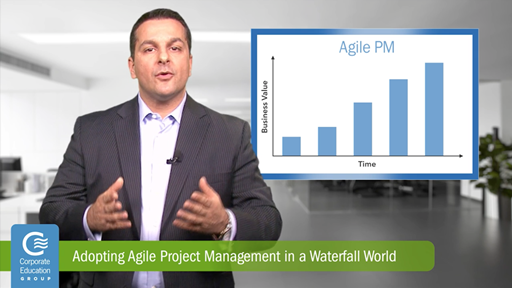 This video explains the benefits of adopting Agile project management over waterfall. We will detail how Agile PM works and how the Agile methodology delivers many competitive advantages. Watch the video to find out what they are!